Jonathan Edwards is well known as perhaps the greatest theologian the United States has ever produced. He is equally noted for his preaching and writing. 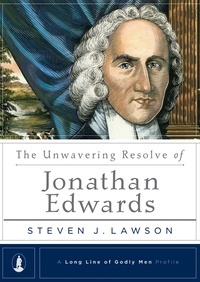 But in The Unwavering Resolve of Jonathan Edwards, Dr. Steven J. Lawson considers the unique focus and commitment with which Edwards sought to live out the Christian faith. 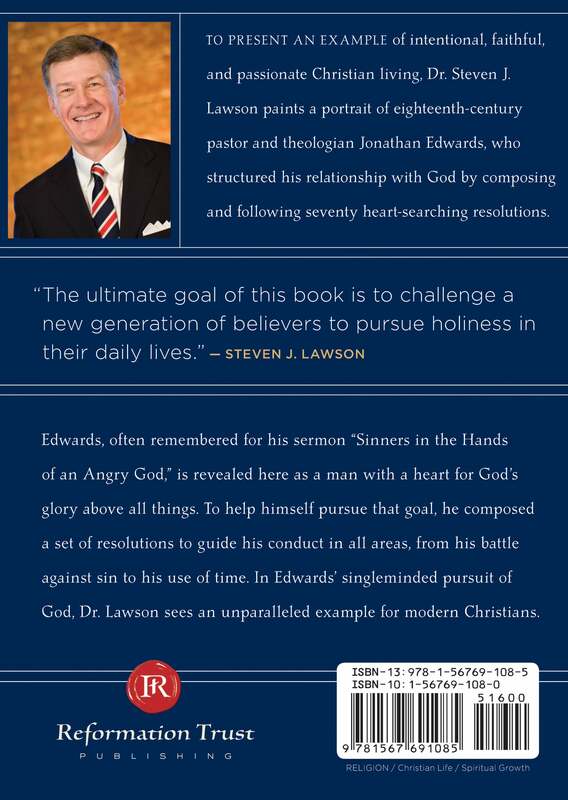 Lawson examines Edwards’ life through the lens of the seventy resolutions he penned in his late teens, shortly after his conversion, which cover everything from glorifying God to repenting of sin to managing time. Drawing on Edwards’ writings, as well as scholarly accounts of Edwards’ life and thought, Lawson shows how Edwards sought to live out these lofty goals he set for the management of his walk with Christ. In Edwards’ example, he finds helpful instruction for all believers. This book is part of the Long Line of Godly Men Profile series edited by Dr. Lawson, which includes biographies on such people as John Calvin, John Knox, Martyn Lloyd-Jones, Martin Luther, John Owen, Richard Sibbes, Charles Spurgeon, William Tyndale, Isaac Watts, and George Whitefield. The complete set is also available.